So, here's for take three of diy presentation, let me know what you think. Here's a simple tutorial on how to make a string of crepe paper flowers. I am making a whole bunch of these for my cousin's upcoming wedding. Can't wait to see how it turns out/share pictures! 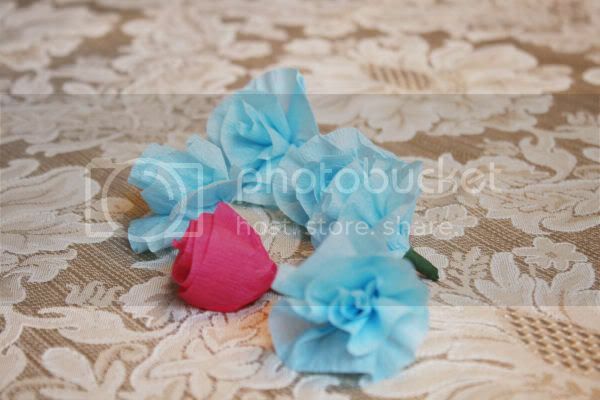 All you need for this is crepe paper of your color choice, flower tape, thread and scissors. Cut a piece of crepe paper about 14 inches long and a piece of flower tape about an inch long. 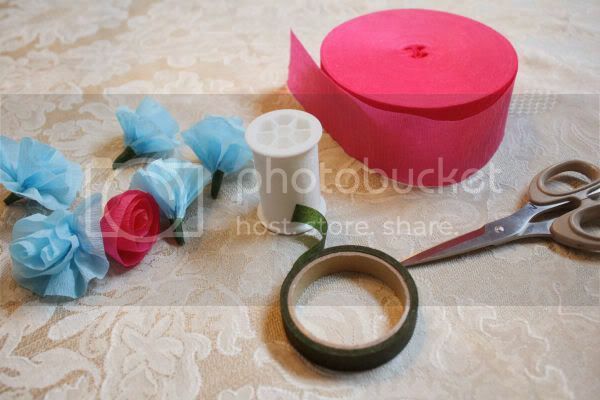 Wrap the crepe paper around in a circle, pinching the bottom the entire time to make a stem. 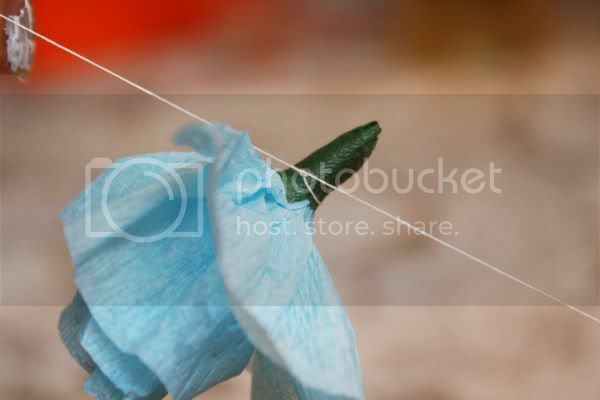 Wrap the stem with the flower tape, be sure to carefully stretch it to make it stick. 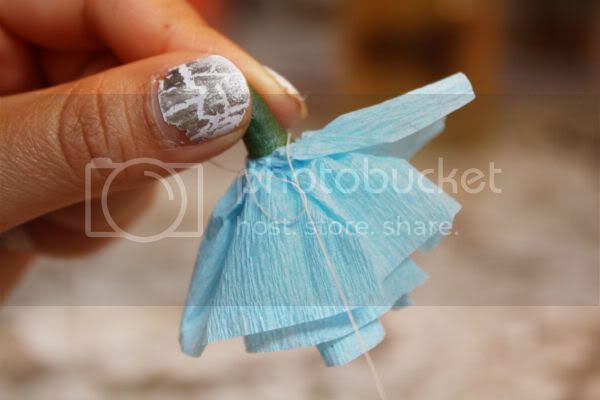 Then double knot each flower with the thread and make your string of flowers! I thought that the flowers looked best five inches apart.